During this two hour beginning class, students will learn the do's and dont's of metal stamping. You will also learn how to finish and polish your piece. 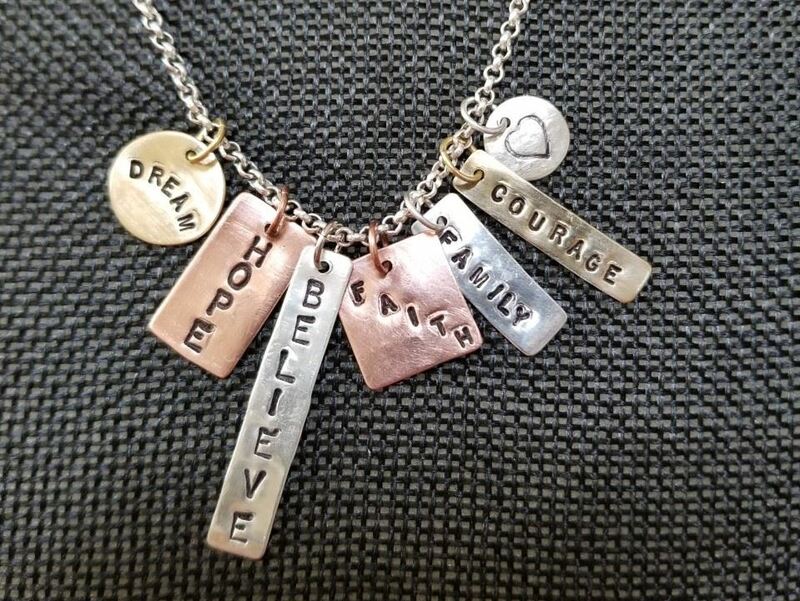 You will make up to 7 charms with your choice of words to hang on a chain, leather necklace, add to a current jewelry piece, or add to a keychain or purse. Materials included are metal (sterling silver, copper and brass) for 7 charms, jumprings and practice metal. Chain not included.